Receiver unit uses PIC chip & relays. Response box. 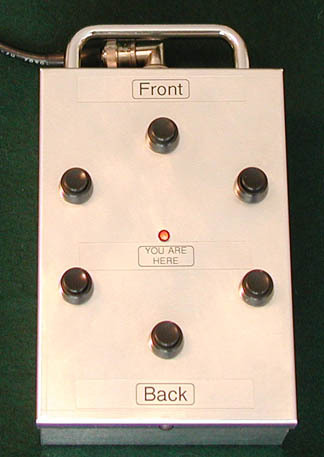 Push-button switches can be configured for other tests. 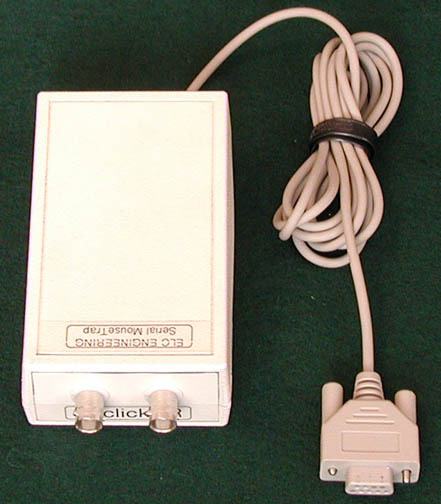 Control unit connects to computer's serial port. 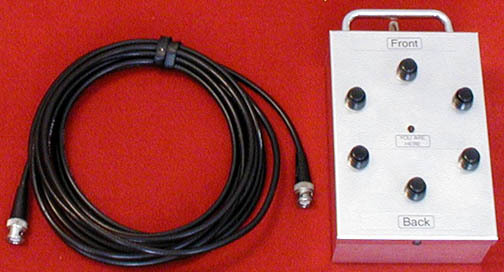 Hand-held response box & cable. 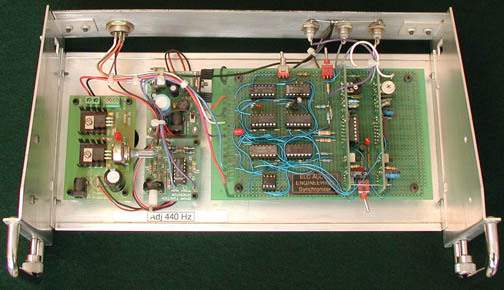 The components shown above were a part of the automated data-collection system used in the Localization with Binaural Electronic HPD study. This system can be easily reconfigured for other studies. In addition to recording participants' responses, it also records response time (RT). This system works with multi-channel audio recording software such as Cool Edit Pro or Adobe Audition. CD-quality (or better!) digital recordings can be used to present aural stimuli. Stimuli can be presented at precise, experimenter-defined intervals. Data recording automatically stops if the participant does not make a selection within a specified time (part of the forced-choiced paradigm). Testing resumes once participant makes a selection. The logic-controlled data synchronizer was needed to maintain clock synchronicity when forced-choice paradigms are used, and the participant fails to make a choice within the inter-stimulus time frame. An optional LED automatically flashes and gives the participant a visual "heads up" before each stimulus is presented. ELC Data-Recording System Pat. Pending. 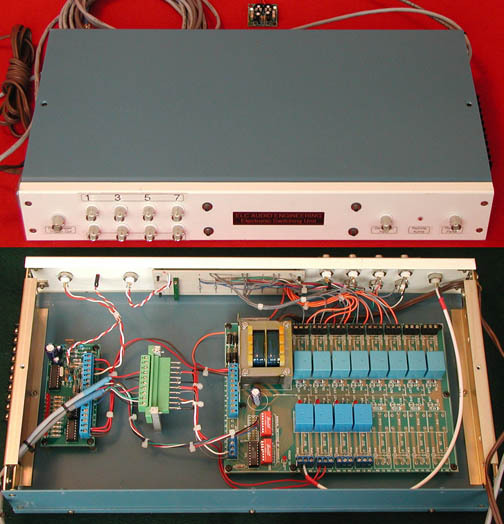 Please contact Eric L. Carmichel (elcarmichel@elcaudio.com) for additional information or technical support. 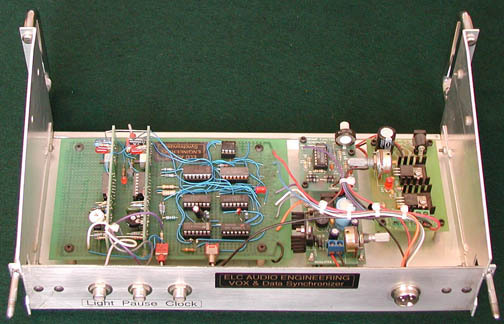 ELC Audio Engineering: When overkill isn't enough.